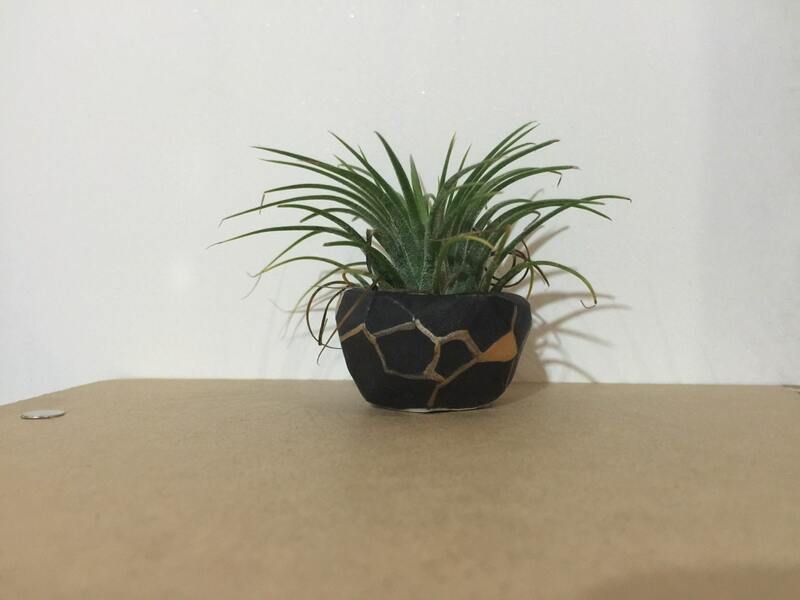 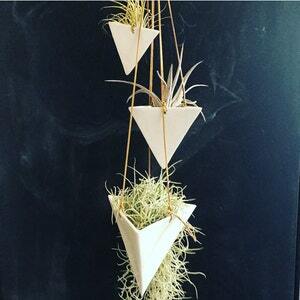 You'll love our porcelain planter; it has a very minimal yet stunning geometric design. 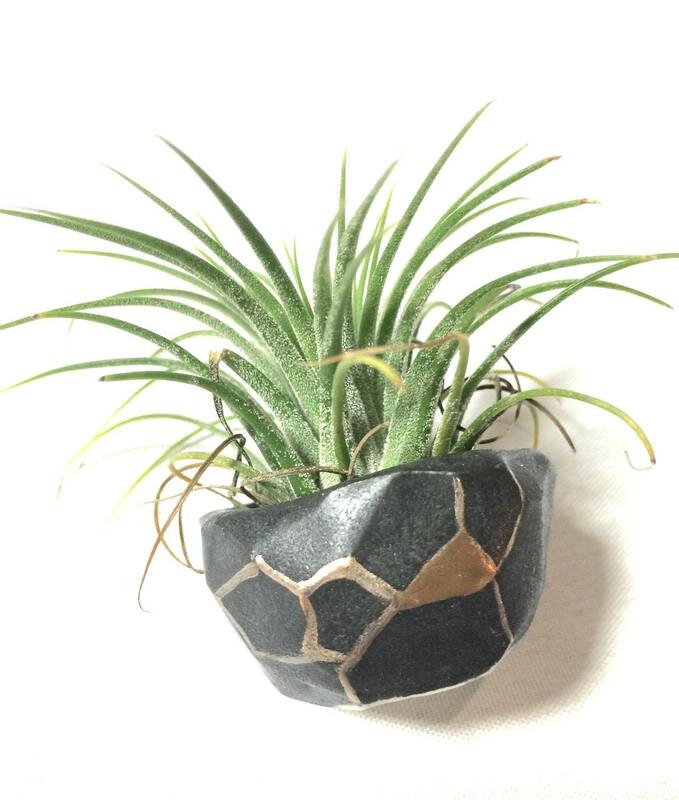 It's hand-glazed inside and out, with hand-gilded accents on some of the geometric edging. 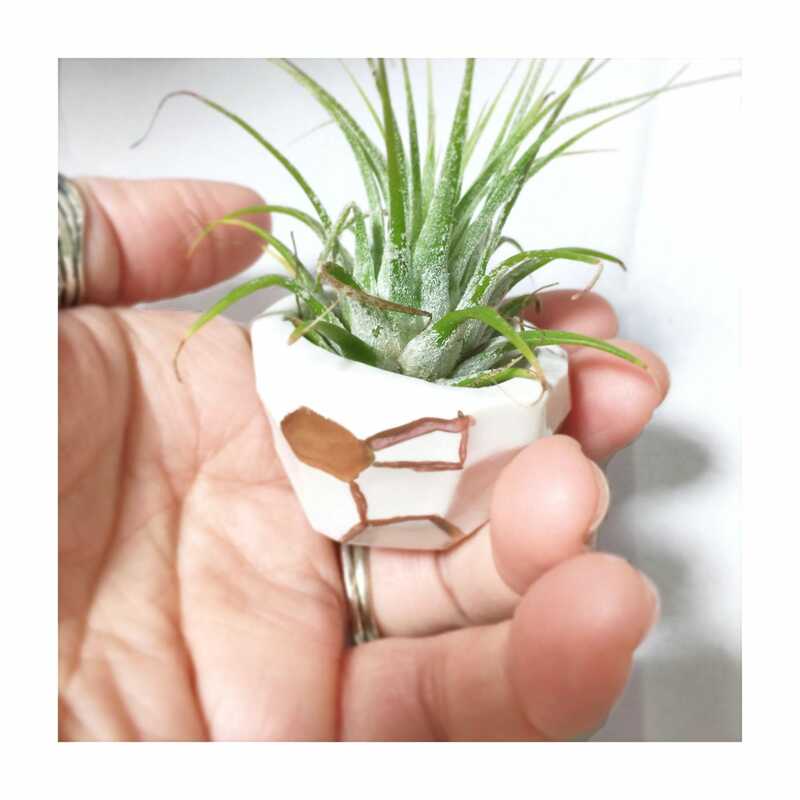 It is water tight and the picture shows it housing a darling tillandsia air plant. 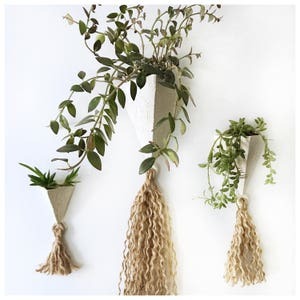 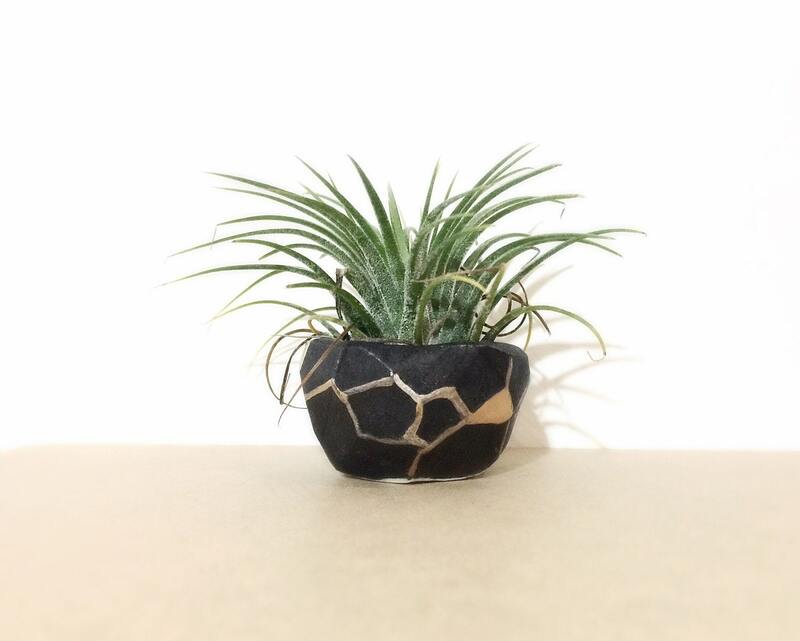 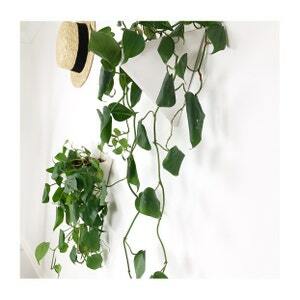 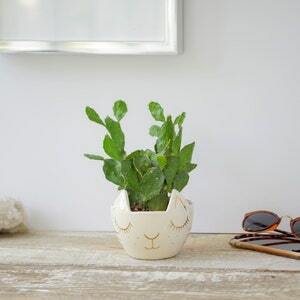 This planter is flat bottomed and perfect to place on your favorite table or a window sill!